The Palestinian from Hebron who killed 19-year-old Ori Ansbacher on Thursday carried out a terror attack, the Shin Bet said Monday. Until now, it was unclear whether the murder was an assault or the premeditated murder of a Jew. 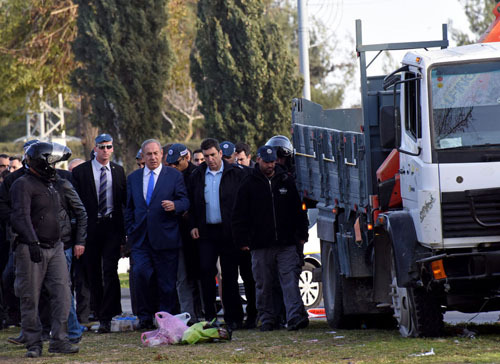 Now, the Shin Bet said the murderer re-enacted the act for them, confirming their suspicions. Ayelet Shaked, Israel's minister of Justice, said Saturday that Israeli prosecutors should seek the death penalty for the murderer. Arafat Irfayia, 29, reportedly left Hebron on Thursday armed with a knife and came upon the victim, Ori Ansbacher, 19, walking in the woods near Ein Yael nature reserve in Jerusalem. The body of Ansbacher, of the West Bank community of Tekoa, was discovered on Thursday. She was buried on Friday in Tekoa. The precise details of the murder are unknown, but rumors indicate it was particularly brutal in nature. Though a death penalty law exists in Israel, it has rarely been used. Legislation that would have expanded its use to terror cases failed to advance last year.